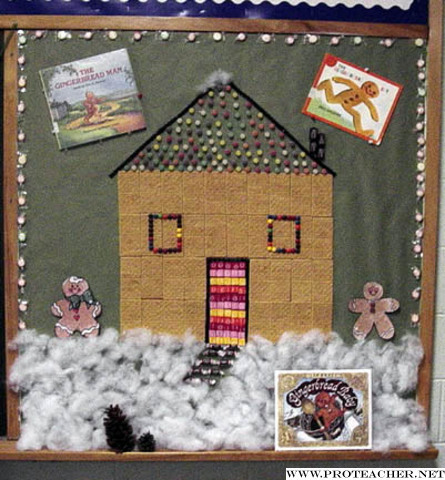 I use this bulletin board with my Gingerbread Man Adventures Unit. I use real graham crackers and candy (gumdrops, licorice, starburst, mints, and m&m's) to make the gingerbread house. When the kids see it, they are just thrilled! When our unit is finished, I let the kids eat the edible parts of the gingerbread house...making clean up for me very effortless! Students could also be the ones to make the gingerbread house bulletin board. This bulletin board is a not only a hit with the students, but with parents as well!